GeoKids LINKS is a collaboration involving Saint Joseph's University, theWagner Free Institute of Science, and the School District of Philadelphia. 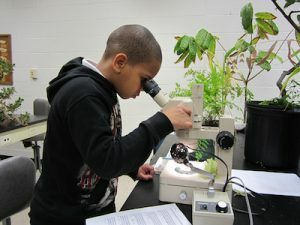 This program places graduate and advanced undergraduate Fellows into Philadelphia 1st through 5th grade classrooms as a part of their training in science. Fellows work with the teachers and education experts from the Wagner Free Institute to implement hands-on science learning activities. Major funding for GeoKids LINKS has been provided by the National Science Foundation Graduate Teaching Fellows in K-12 Education Program (GK-12), and by the Howard Hughes Medical Institute.